Mutants vs. 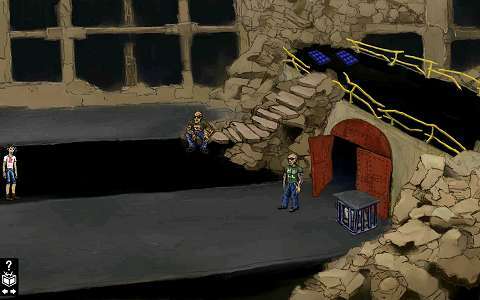 The Chosen: Hijack is a classic point and click adventure game that takes you to an unspecified future. But this future does not look very good for ordinary people: Changes brought poverty, disease and visible genetic mutations. And there is one even bigger problem - armed raids of the militants of the Chosen Ones. After one such a raid the village of Riam, the main hero of the game, is destroyed. His father is seriously injured and his sister kidnapped. Riam does not have much choice about what to do: He is the only one who can rescue his sister and help to his father. The problem is that the gunmen probably took Riams sister to a big ruined town. And everywhere around are minefields. How can he get through them? And how can he find the right place where gunmen are holding her? This and many other questions you should solve with the hero if you decide to download this free game to your mobile phone or tablet. 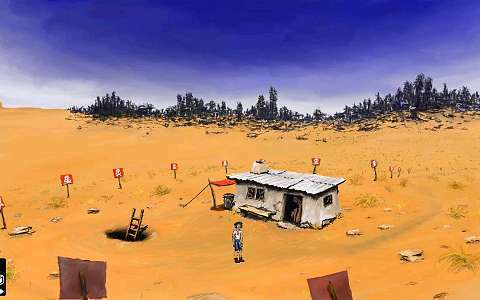 This adventure game has an interesting graphics, but also a very special atmosphere of the future, which is further supported by music in the background. Some tasks, which the hero solves, are not entirely easy, but when you play you are given a series of more or less subtle clues. As shown in the reviews of players, the game can be finished in reasonable time and without any additional help. As mentioned above, Mutants vs. 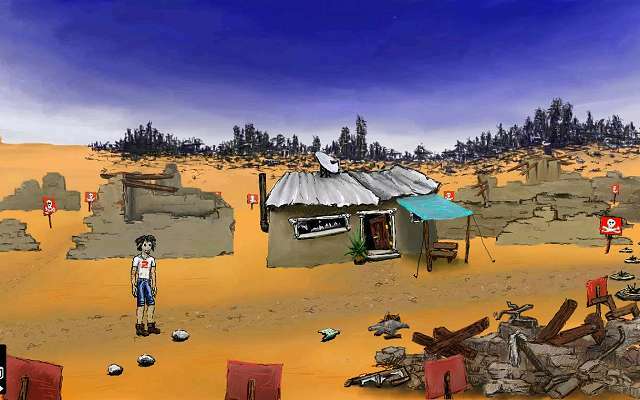 The Chosen: Hijack is a classic point and click adventure game - thus the hero finds many useful objects, which he then uses at the appropriate places. The game is adapted for mobile devices, so its control on tablets and smartphones is comfortable (a bigger screen is, of course, an advantage, we definitely recommend at least four inch). The game is completely free to download, there are no ads or in-app purchases. All texts in the game are not only in English, but in other languages as well (German, Potuguese, Spanish, German, Chinese and Czech) - you can switch among them in the Menu of the game. And when you finish this game? You can play the second part, which has the name Mutants vs. 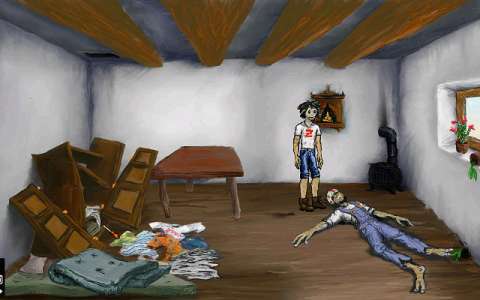 The Chosen: Traitor (it is again a point and click adventure). It is not free, but costs only a symbolic amount of about $1, so it is very cheap. We won't describe it here in more details, as we would have to divulge more storyline of the first part, which of course, we do not want. We should add that the game was created by GameStylus team (the one behind the game engine of the same name). 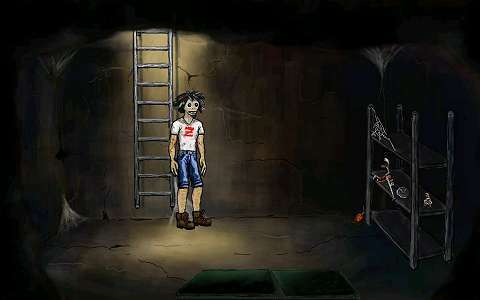 In the GameStylus engine everyone can create his/her own adventure game. If you like not only to play this type of games, but you are also thinking about creating your own, GameStylus should be definitely perfect for you. You can create your game on-line and the it can be published and played on Android and iOS. It remains to add that at the time of writing this review the Mutants vs. The Chosen: Hijack adventure game had user rating of 4.2 at Google Play and players appreciated the graphics, atmosphere and storyline. As a disadvantage they mentioned the fact the game is shorter than they would like.